What color is Mountain Village? The correct answer is not beige, as one visiting journalist suggested (after an all-too-cursory look-see). Somehow he missed the white. Mountain Village is an embarrassment of snow white this winter, perhaps from some breaking open of its karmic piggybank. And he missed the green, green as in sustainable, energy efficient, and environmentally conscious. In 2009, Mountain Village adopted the State of Colorado’s Climate Action Plan goal to reduce greenhouse gas emissions from government operations 20 percent by the year 2020. To reach this ambitious goal, the town implemented a long list of efficiency and conservation projects in all government buildings and facilities, including the gondola, where all lights were upgraded to LEDs. This project alone reduced the electricity used for gondola lighting by 70 percent and carbon emissions by 100 tons annually. By 2015, Mountain Village achieved a 22 percent reduction in emissions, five years ahead of schedule. What’s more, the gondola’s very existence is in keeping with the vision of the founders that Mountain Village, incorporated in 1995, one day becomes a pedestrian-friendly community where guests can leave their cars behind and access the surrounding mountains by a free and environmentally-friendly public transportation system. But the gondola, a solution, also became part of the problem: it takes energy a lot of energy – approximately two million kilowatt hours of electricity a year or nearly half of the Mountain Village government’s total electricity demands – to run the popular people-moving machine. Enter the Green Gondola Project, which for the past four years has further assisted with the reduction of emissions from the gondola as it allowed the town to raise money through online donations, collection boxes at terminals, and other programs to offset the large amount of electricity that is needed to power the gondola with alternative energy sources. To date, funds collected through the Green Gondola Project have opened the door for significant solar panel installation on gondola terminals: 160 solar panels at Station St. Sophia and Station Village Parking, bringing the total amount of clean green energy generated annually by the sun to about 60,000 kilowatt hours. Count the zeroes: that’s a significant amount of electricity. So with the Green Gondola Project’s success, the need for public donations comes to an end; the project has served its environmental purpose well. Mountain Village is now using town funds collected from its green building program and miscellaneous energy rebates and grants to pay for the installation of additional solar panels throughout town. Of course, these efforts will continue to drive Mountain Village’s 22 percent reduction in emissions northward. And, as Mountain Village has done since 2007, the town continues to offset 100 percent of the gondola’s remaining traditional electricity needs with renewable energy Green Blocks purchased from its electricity provider and partner, San Miguel Power Association. While no doubt central to the overall plan, the Green Gondola Project is not the whole sustainable story. Other Mountain Village environmental programs include a residential and commercial rooftop solar rebate program; Relight Mountain Village, a highly subsidized program designed to encourage property owners to replace inefficient light bulbs with LEDS; a community noxious weed control incentive program; water conservation incentive program; and a new wildfire mitigation incentive program with the Telluride Mountain Village Owners Association and Telluride Fire Protection District as partners. “Mountain Village is taking steps to reduce our community’s impact on the environment by leading by example and using carrots rather than sticks. Our current Town Council is very supportive of conservation initiatives, and that is something we can all be proud of,” Drew said. In winter, Mountain Village is all about soft white powder and endless runs with only heart-stopping views to keep you company. But should you need a break from on-mountain adventures, here are some alternatives with equally impressive backdrops. Mountain Village boasts about its Winter Trail System for good reason: using a Piston Bully 100 Snowcat, the town grooms almost eight miles of Nordic and snowshoe trails to create a quality surface for as many users as possible: cross-country skiers, hikers, snowshoers and bikers as well as dogs (who are accompanied by a responsible dog owner). 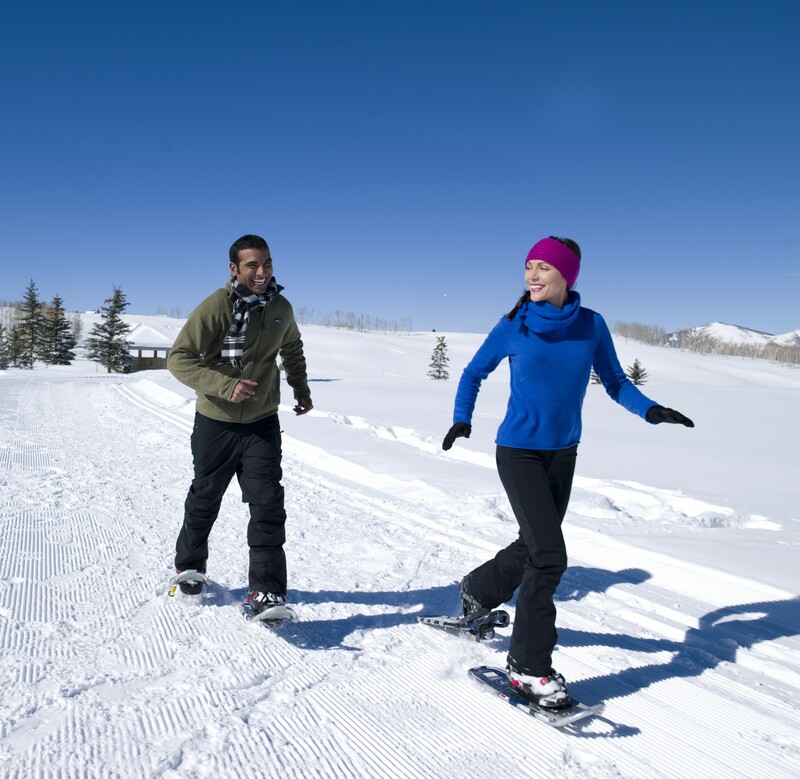 Each trail is interconnected, starting at the Telluride Valley Floor via the Boomerang Trail and continuing up to Mountain Village’s winter trails, which are located on the Telluride Ski & Golf Company’s golf course. These trails reach into Mountain Village Center and extend out to the Mountain Village entrance. Another option that may be new to many is platform tennis. A slight variation on the traditional game of tennis, the platform version covers less of the court and is played with a paddle instead of a racquet. Mountain Village offers two heated, well-lighted courts open from 9 a.m. to 9 p.m. They are located 100 yards south of the Telluride Ski & Golf Club House at The Peaks Resort & Spa. A small clubhouse with equipment, lockers and restrooms is available for your convenience on site. In the winter, guests access the platform tennis court from The Peaks ski trail, 200 yards from the top of Lift 1. Reservations are not required, but a code is necessary for access so call first. For additional platform tennis rules, visit the official American Platform Tennis Association website. And then there is ice skating. After a day on the slopes, reconnect with family and friends at the full-service Mountain Village Ice Rink, now operated by Madeline Hotel and Residences. Located in Reflection Plaza, the rink offers daily open skating, special events, team-building, and skate instruction on the European-style plaza from 12 p.m. to 8 p.m. daily, with a free skate hour between 12 p.m. and 1 p.m. In addition, Madeline Hotel rents hockey and figure skates of all sizes and offers punch cards and season passes. For information about daily rates or to book a special event, contact Madeline Hotel and Residences at (970) 369-0880. And finally – drumroll please – Mountain Village features Frozen Fun. A recent addition to Mountain Village, Frozen Fun on Village Pond is the pet name of yet another winter venue. True, Frozen Fun is smaller than the Mountain Village Ice Rink, but you can play just about anything you can imagine for free – with or without skates – on this well-maintained frozen pond of fun. The site, which is unsupervised, is open to the public during daylight hours seven days a week. To find this hidden gem, follow the plazas until you reach Conference Center Plaza and Village Park Plaza. And when you are literally frozen from too much outdoor fun and games and needing to refuel, Mountain Village is home to a wide variety of watering holes, from white-table-cloth to casual dining. Free parking is available near or adjacent to winter activities and dining options. I hope you had a wonderful holiday season and are continuing to enjoy this great snow. Last month was a busy one where we not only enjoyed all of the usual holiday festivities, but also got a lot of work done. We discussed our historical approach to the business development area where businesses were asked how the town can support their goals. While we want all of our businesses to thrive, any opportunities involving significant staff time or town expenditure will come through our budget process for full Town Council review. There was further discussion of the Telluride Venture Accelerator and co-working spaces. While I recused myself, Mayor Pro-tem Marty McKinley led the discussion where Council put a placeholder for each expense pending further budget specificity before the amounts are released. We passed our revised 2015 and final 2016 budgets, and set the mill levies for both the town and the Metro District (which precedes the town and holds some of the debt behind our assets). We had a good discussion of our recycling program given the changing nature of commodity markets, which are getting worse, and what are our real goals should be: reduction, recycling or reducing carbon footprint? The Village Pond was approved for use this winter as an experiment. A Council off-site retreat was designed for early in the New Year so Council can coalesce on its goals and priorities for the town. We decided not to launch a plaza use committee, as staff continues to feel that they can handle the decisions needed and will escalate any issue that are contentious to Council. Finally, we discussed joining a possible Regional Transit Authority and the Council consensus was to continue full participation in the process including intergovernmental meetings early in the New Year where specific issues will be negotiated to enable progress to a November election. This week another full meeting has been agendized. We will have the opportunity to meet and hear from Bill Jensen the new leader of Telluride Ski & Golf Company (TSG). Working with the Telluride Foundation, we will conduct a work session on a potential pocket park near the gondola station at Oak Street Plaza in Telluride. There will be a discussion of an ordinance prohibiting the possession of weapons on town property. We will also start to define a Town Hall Center Subarea planning process in concert with our friends at the Telluride Mountain Village Owners Association and TSG. Finally, in addition to some routine land use matters, we will have a worksession about defining a budget granting process to ensure equity, transparency and coordination with other grant-making bodies. As always, if you have any views on the above, or any other issues, please come to the meeting, listen online, or send us your thoughts. The Partners of Mountain Village, Colorado, are gearing up to host the second annual holiday light show-a festive spectacle that will delight guests and locals alike. Madeline Hotel and Residences is partnering with the Telluride Mountain Village Owners Association and the Town of Mountain Village to produce a light show with Paintscaping.com, the Los Angeles-based world leader in 3-D projection mapping who has produced a variety of light shows all over the world. The production titled #HolidayMagic will be showcased at Heritage Plaza in Mountain Village with four shows nightly at 6 p.m., 7 p.m., 8 p.m. and 8:30 p.m. from December 24 to December 31, snow or shine. This year’s dazzling event is brought forth by the Mountain Village Community. Each # #HolidayMagic show will last five minutes and will include musical accompaniment and a veritable rainbow of 3-D holiday imagery flashing on buildings throughout Heritage Plaza. Breaks between shows will be offer participants access to great local shopping and dining available from show sponsors, retailers and restaurants in and around Mountain Village. Madeline Hotel and Residences will lead the action, offering live entertainment and dinner specials at the hotel’s new M Club and Black Iron Kitchen and Bar, recently upgraded to include outdoor “fire tables,” deep woods, dark steel as well as a revamped menu featuring “modern mountain cuisine” cultivated by fresh mountain produce and proteins. Additional sponsors include the Town of Mountain Village, Telluride Mountain Village Owners Association, Fairmont Heritage Place – Franz Klammer Lodge, Telluride Sotheby’s International Realty, Telluride Ski and Golf Company and Telluride Real Estate Corporation, Christie’s International. Don’t miss out on a holiday light show you’ve got to see to believe – and that you won’t soon forget! I hope you are enjoying our great snow on the re-opened mountain. The community is clearly sparkling with all of the holiday activities well underway. This last month Town Council approved, on First Reading, the proposed 2016 town budget totaling $30.3 million, which after pulling out the pass-through items (gondola, tourism and museum supported budgets), represents more than a five percent reduction in expenses when compared to the prior year’s revised budget adjusted for pass-through items. Equally important, the proposed budget is balanced with revenues generating a net surplus of $240,000. That said, Town Council was still able to make some important investments including more road repaving, establishing a Telluride TV facility in Mountain Village, and adding Recreation Department resources, among other investments. In addition, Town Council extensively reviewed the new marketing and business development budget, which included some revisions and reductions while still working to achieve its mission. While I recused myself from the discussion, the balance of Town Council deferred the Telluride Venture Accelerator (TVA) sponsorship and co-working space funding requests pending a more specific proposal from TVA and the Telluride Foundation. In other business, Town Council appointed Larry Crosby and Richard Child to represent Mountain Village on the Telluride Regional Airport Board. Finally, in addition to some routine land use matters and reports, Council reviewed the town’s water policies and rights to ensure adequate supplies of water for years to come. This week’s meeting will include some important discussions, too. Town Council will consider final approval of the 2016 and revised 2015 budgets. There will be a worksession evaluating whether to launch a Plaza Use Committee to ensure there is an appropriate nature and level of activity in the plazas throughout town. And related to this, a discussion surrounding possible uses of the Village Pond for this winter season will be up for consideration. Council will also evaluate the state of recycling in Mountain Village. Given that I will recuse myself, Mayor Pro-tem Marty McKinley will lead a follow-up discussion on potential funding of specific TVA programs and a possible co-working space in Mountain Village. Lastly, in addition to some routine land use matters and Council/staff reports, Council will conduct a worksession about Mountain Village’s possible participation in a potential Regional Transportation Authority. As always, please join us December 10 in person, online or feel free to share comments on any topics of interest to you. The snow is certainty building and the anticipation is growing. With that, we hope to see many of you for Opening Day later this month. It’s sure to be one of the best ski seasons yet. As for government business matters, last month Mountain Village continued its budget process with a special all-day meeting in which we, as a Council, took some specific actions. First, we approved temporary COWS (Cell Tower on Wheels) so that hopefully Mountain Village residents and guests will have better cell service this season until a permanent solution is provided. Continuing, Council conducted a detailed budget discussion with each town department director which included review of their goals, performance metrics and priorities. This turned into a day full of comments and follow-up questions too numerous to list here, but I encourage you to come to the November 19 Town Council meeting to hear the results. Worth noting, one concern raised by Council was that while many of the budget requests endorsed had merit on their own, in aggregate the level of spending has risen, thus Council needs to look for ways to limit that growth. Other informal actions taken by Council last month included increasing the road repaving program budget, examining the Marketing and Business Development budget, and indicating a willingness to support the new producers of Telluride Gay Ski Week as they work to become self-sufficient and Telluride TV as they plan to create a media streaming facility in Mountain Village. The usual array of community grants also received a head nod. All of these ‘actions’ are in draft form until the final budget is approved in December, though November 19 is when Council will take action regarding first reading of the budget ordinance. Wrapping things up, Council touched on some issues pertaining to 2016/2017 projects. For example, it was noted that the town’s debt for theTelluride Conference Center will be paid off in 2017. That pay-down will result in an almost 1.5 mil reduction, which is effectively a tax cut for you. Moreover, town needs to think about any and all long-range plans for that facility. Council also mentioned the need for a large waste treatment facility project coming up in 2017 that will be shared with the Town of Telluride. The overall project cost could exceed $8 million and Mountain Village’s share could be 35 percent, so we are updating and reviewing an analysis to ensure that we will have adequate water and sewer reserves to cover this large cost. Other items on the docket for Thursday includes an update from theColorado Flights Alliance, a worksession on the town’s water system, a discussion about supporting Telluride Venture Accelerator, a worksession on converting Village Court Apartment’s energy system, an action item on a new gondola blanket policy, and our usual array of staff/Council updates and standard land use matters. As always, please reach out if you have comments or join us Thursday, November 19 if you can. Mountain Village is being transformed into the North Pole for this year’s Holiday Prelude celebration the weekend of December 11-13, 2015. Holiday Prelude is a collaborative effort between Telluride Mountain Village Owners Association, Town of Mountain Village, Town of Telluride and local merchants to transform Mountain Village and Telluride into the regional destination for holiday cheer with a full two weeks of holiday activities commencing on December 2, 2015. The Mountain Village Holiday Prelude magic starts at the Oak Street gondola station where the free gondola is transformed into a Trip to the North Pole on Friday, 12/11 and Saturday, 12/12 from 3-6 pm. Children of all ages will delight in the decorations and lights galore as our elves send you on your way to visit Santa in his workshop in Heritage Plaza. Children can tell Santa what they want for Christmas, make an ornament with one of his elves, and enjoy free hot chocolate. While at the North Pole, catch a ride on the North Pole Express! 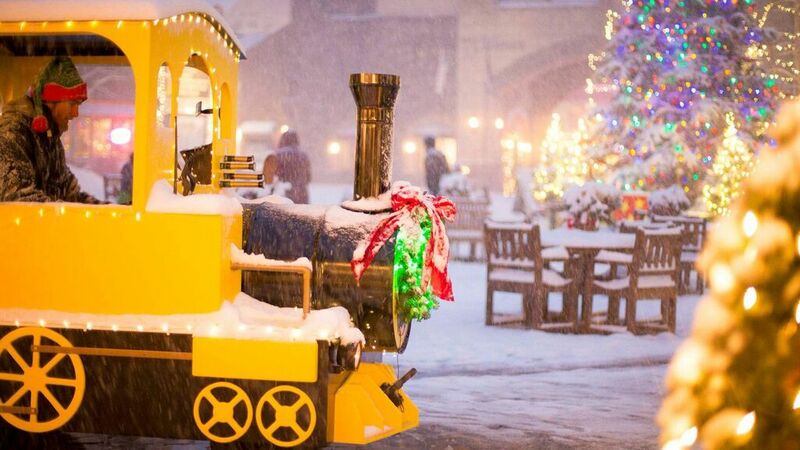 Children and adults will be dazzled on the free train ride throughout Mountain Village’s festival of lights, with more decorations throughout the village than ever before. The culmination of this year’s event will happen on the Mountain Village Ice Rink outside of the Madeline Hotel and Residences. The North Pole on Ice professional skating performance will feature International and National ice skating medalists. You don’t want to miss this show filled with triple jumps, dizzying spins, creative pair lifts, death spirals, and more. The shows are scheduled on both Friday, 12/11 and Saturday, 12/12 at 6:30 p.m. with a 2 p.m. matinee show on Saturday. For those who need to get some last minute Christmas shopping done, Mountain Village merchants are bringing back Jingle Jam. Similar to Telluride’s Noel Night held the week prior, Jingle Jam is when Mountain Village Center businesses extend discounts and specials to customers. This year’s Jingle Jam is scheduled for Friday, 12/11, with stores staying open until 9pm. Shoppers will receive some of the best discounts of the year, along with raffles, give aways, food and drink specials, and more. And, in the true spirit of giving, Franz Klammer Lodge will provide an Angel baskets charity drive for donations and will offer free drinks in their warm and inviting lodge both Friday and Saturday from 4-7pm. The fun continues on Saturday with free skating, or say hello to Frosty or the Grinch from 3-5pm at the Madeline Hotel and Residences. It’s a roller rink flashback on the Mountain Village Ice Rink on Saturday night from 7-9pm where families can get their holiday groove on at the Madeline Annual Ugly Holiday Sweater Party. Enjoy a free Skate with DJ Soul Atomic, and flaunt your stuff on the ice while enjoying drink specials throughout the evening from Madeline’s M Club outdoor bar and fire tables. Parents can take advantage of the free Kid’s Night Out drop off from 7-9:30 pm at the Telluride Conference Center with holiday movie classics, games and snacks for ages 5 and up. There is no better way to end your weekend of holiday fun than a pajama breakfast with Santa. The Palmyra Restaurant at the Peaks is creating a special holiday breakfast menu on Sunday from 9-11am giving children one last opportunity to get a picture with Santa and tell him what they want for Christmas! The Town of Mountain Village will be providing free day parking in the Gondola Parking Garage all weekend, and lodging and ski packages are available for those who want to extend the holiday fun. For more information, visit visittelluride.com/event/holiday-prelude. Events and times subject to change so please check back often! We have just seen our first snowfall and our summer toys are being swapped out for ski gear, with a palpable sense of winter fun and excitement growing in the air. Last month many actions were taken, and discussions underway. We approved our vending cart policies that will allow for an additional cart in Heritage Plaza, a new cart in Conference Center Plaza and the potential for some carts to operate extended hours when activity would support it (e.g. 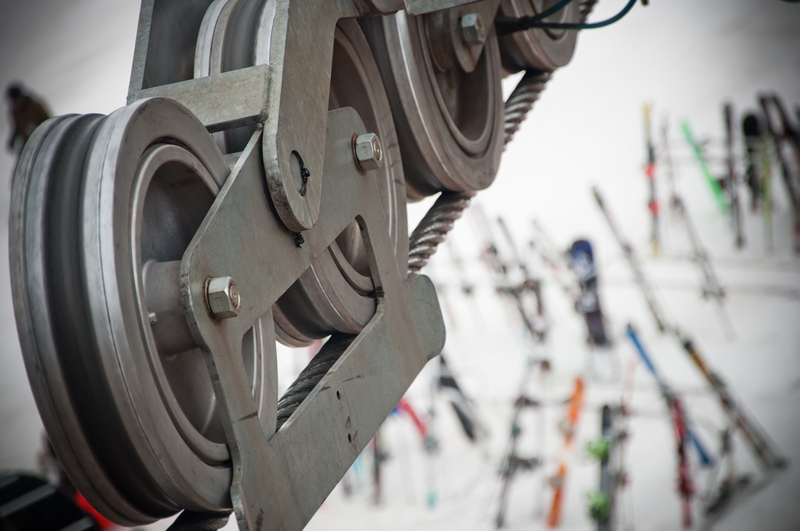 to serve long gondola lines). We also approved an ordinance allowing Cell Towers on Wheels (COWS), which are temporary expansions of our cell phone capacity to improve system performance. The hope is that our permanent solution will be in place within a year and this ordinance will truly be a temporary measure. We also agreed to participate in a task force with members from the Town of Telluride, TMVOA, TTB and TSG to analyze the potential for a transition plan for Gay Ski Week from its current fee-for-service TMVOA supported, to an independent producer model for this upcoming season. We will hear the task force’s initial thinking at this upcoming meeting. Finally, the Town received a decision from the ski company, consistent with their rights in our parking agreements, to offer free day-use parking for the customers of the ski company in the gondola parking garage, and we will work with them to implement that this coming season. This week we will be conducting a special budget meeting on October 29. For those with an interest in the Town finances, this is a chance to see every manager present every department’s objectives, plans, and budgets for 2016. Please join us for this critical deep dive into our finances. Going forward, we have set our Town Council meeting schedule for the coming year. 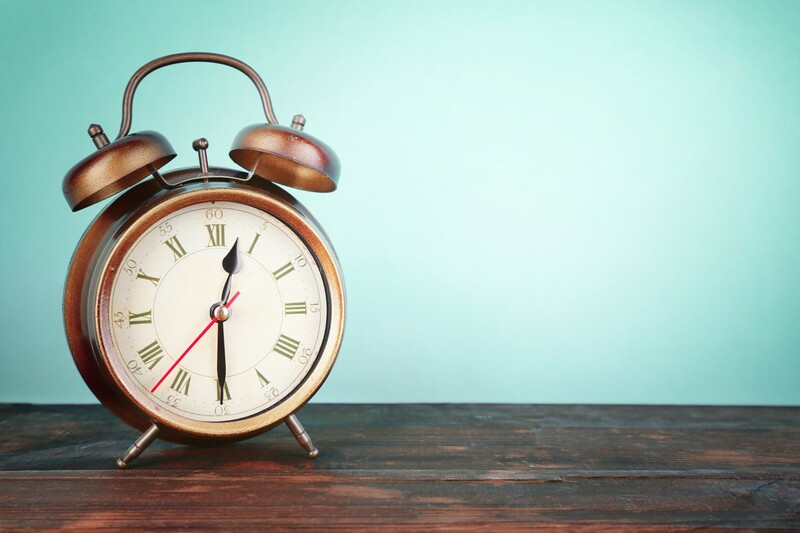 Many of the meetings will be in our usual slot on the third Thursday of the month starting at 8:30 a.m. That said, based on feedback from some residents that daytime meetings are hard to attend, we have experimented with our March, July, and December meetings starting at 3 p.m. and going into the evening. Please go to the Town’s website to see the exact schedule and let us know if these changes help or hurt your chances of participating. I hope you are enjoying the beautiful Fall colors and the wonderful addition of some snow on the peaks. Though shoulder season is beginning, there is still plenty of activity in our town. Last month, Town Council took several important actions. Council declined the developer’s request to extend the closing deadline for The Lofts workforce housing project. As a result the developer has indicated that they will not be continuing the project at this time. Council also agreed to pursue a more detailed planning of the Town Hall Center Subarea, assuming that or our friends at TMVOA and TSG will join us. We also passed a first reading of an ordinance to allow an additional vending cart in Heritage Plaza and remove some constraints on the types of carts that can serve us. There was also another public forum called by the Telluride Hospital District to update on the new Medical Center. Topics included financing options for the Medical Center, updates on the wetland mitigation process, and discussion of the critical access hospital (CAH) designation, among others. The Hospital District Board is conducting these sessions every few months if you missed this one. This week we have another Town Council meeting with several important issues, in addition to several routine land use matters. There will be an important work session reviewing the findings of a recent study we commissioned to identify long term operational options for the gondola. This will help to inform the long term gondola strategy that we need to develop with our neighbors. We will also finalize our vending cart policies. There will be an important discussion of COWS (Cells Towers on Wheels), which are temporary solutions that will help to increase our cell network capacity while a permanent solution is being designed. There will also be a discussion of the Gay Ski Week event which the Tourism Board is very concerned about its potential departure from our resort. And finally, an issue that I would guess many of us have personal experience with, our safety committee has raised concerns about the blankets being offered to our gondola passengers, and the extent to which they represent a safety issue and whether we should continue to offer them. As always, we hope you will be able to join us for this week’s meeting, whether in person or via web access. Please share your thoughts in advance if you have a moment.